Need some help with Mathletics? We’re here for you. However you use Mathletics, we’re here to make sure you get the most from the resource in your classroom. Looking to get started? Need a quick tour? Perhaps you’d like to learn more about how Mathletics teacher tools can help you with differentiation or data-driven teaching in your classroom. Easy. You’ll be an expert in no time. Tour the Mathletics interfaces for students and explore the tools and data reporting available to support teachers. Our school support team offers a selection of FREE webinars, covering the basics of Mathletics to more advanced use. Our growing library of on-demand recorded training videos means you can catch-up whenever is convenient for you. Got a home subscription or does your child use Mathletics at school? We can help answer your questions. A great way to learn how to most effectively use Mathletics and share best practices with your colleagues. GOT A QUESTION? Why not check out our FAQs section! Click here. If you are a teacher of students up to Year 6 get a student’s-eye view of the interface they will be using to access all of their Mathletics content. If you are a teacher of students in Year 7 and beyond, get a student’s-eye view of the interface they will be using to access all of their Mathletics content. 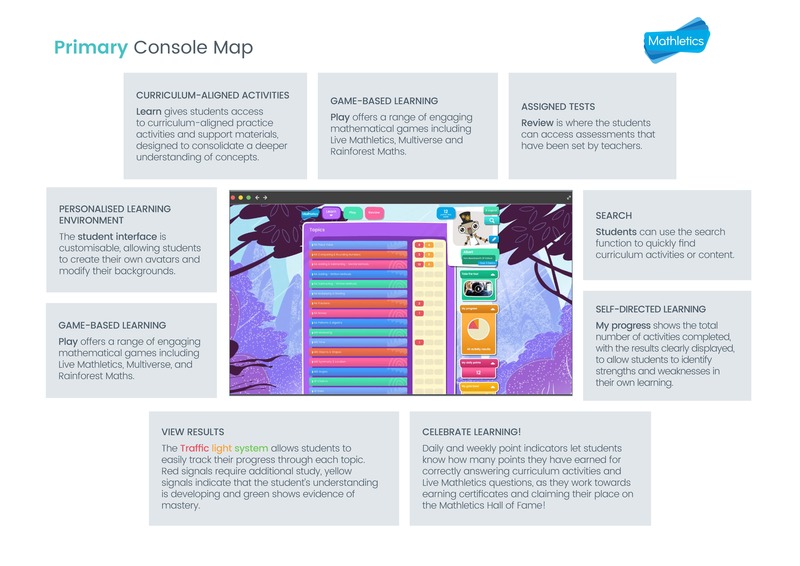 The Teacher Console is an intuitive and efficient interface designed to help you address the balance between teacher-led instruction and independent, student-driven learning in your maths classroom. 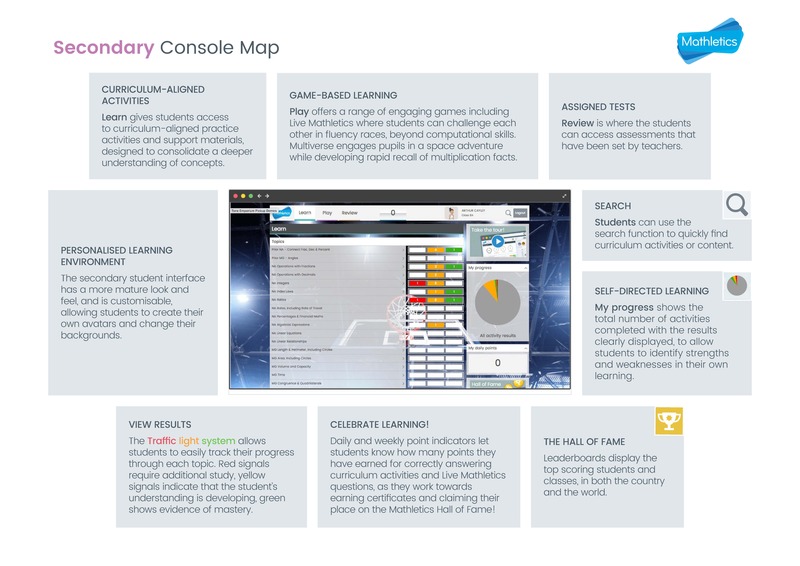 You can differentiate with class grouping, view reporting for targeting data-driven teaching and assign students activities with personalised learning pathways. recorded training videos means you can catch-up whenever is convenient for you. Multiverse is an immersive game within Mathletics that is designed to increase multiplication fact fluency and recall. Set in a rich, animated science-fiction world, students use their knowledge and recall of multiplication facts in a story context, to scan asteroids, harvest resources, navigate through space and even defeat space pirates! Number is the first mathematical concept that young learners need to understand. Mathletics recognises that the development of numeracy and number sense is fundamental to the understanding of most mathematical concepts. In this session, we look at the dedicated Numeracy for Early Learners resources within Mathletics. No problem. You local Mathletics school support team are experts in their field and always happy to help, answer questions or support you in getting the most from your school’s Mathletics subscription.